Australia is a country that attracts plenty of interest as a great property investment destination. If you are overseas and looking to purchase property in Australia, here are some steps to consider. Conveyancer: The legal process is very important when purchasing international property, and a conveyancer (or solicitor) can help keep the process moving, ensure that it is compliant and answer any questions you may have. It’s important to remember that when purchasing property in a particular state, the professional must be licensed to operate in that region. It is also worth noting that conveyancers are known as “settlement agents” in Western Australia (WA). Mortgage Provider: When you have a solid mortgage provider on your team, things can move at maximum efficiency. Ensure that you have someone who is experienced in the purchasing of property by non-residents. Their regional location is of no concern, as they can operate nationally. Better Homes and Gardens® Real Estate can assist with the Mortgage process. By enquiring online here, we can further discuss your options. 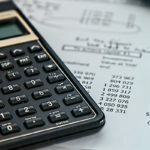 Accountant: Purchasing international properties does not require an accountant, however, having one present can be a wealth of information when it comes to the financial dealings involved. Their expertise can save you on tax by properly structuring your financial information. If you would like to create an Australian firm or trust to hold and maintain your investment, an accountant must be involved. Buyer’s Agent: Many international investors are unable to travel to Australia for a property viewing, which is why a buyer’s agent is incredibly useful. They can negotiate on your behalf and assist you in finding the perfect property. A buyer’s agent will conduct any necessary dealings with real estate agents and can help you make a solid purchase by giving important information regarding the property’s growth potential. When you are purchasing property, it can be quite beneficial to get pre-approval for any loans that will be involved. This will help to avoid significant delays should you find a property that fits your exact specifications. As the housing market in Australia is strong, many properties have a very short shelf life on the open-market. While other prospective buyers are still getting the necessary loan paperwork together, you could be acting on purchasing a solid investment. Getting a loan before beginning the search for investment property is imperative. International investors must apply to the Foreign Investment Review Board (FIRB) if they would like to purchase domestic properties. Having this paperwork in hand will also help you avoid any delays when the property purchasing process is underway. Now that all of the necessary paperwork and loan information has been completed, it’s time to find the perfect property. 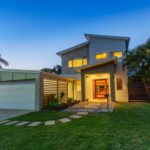 Better Homes and Gardens Real Estate has one of the most comprehensive listings of properties in Australia, and will be perfect place to start your search. Once you’ve found a property that meets your purchasing criteria, the negotiation process begins. The nature of such negotiations will differ, as different regions experience variances in demand. Throughout these negotiations, you will have access to all of the important contractual information. Your conveyancer or solicitor will give you an overview of the contract, ensuring that everything is perfect before signing. Should any additional provisions or conditions be required, this is when the paperwork will be amended. The property laws in each Australian state will vary, and this is where a conveyancer’s expertise will prove its worth. Now that an agreed purchase price has been reached, your solicitor or conveyancer will finalise the information and let you know when to proceed to sign the contract and purchase the property. An additional point worth noting: before signing the contract, be sure that the clause “subject to FIRB approval” is present. If it isn’t, the contract is in breach of Australian law. Though you’ve been pre-approved for your property mortgage amount, there is still a finalisation that must occur. It will be essential to forward the sale contract to the mortgage provider. Once the loan has been formally approved and your conveyancer or solicitor has given you full approval to move forward, you can exchange contracts with the property agent. A deposit is generally required, and there is no set standard to the amount. Once the contracts have been exchanged, the process is nearing the point of completion. The aforementioned “subject to FIRB approval” clause is very important and must be included in the contract. The clause must be stated properly, so consult your conveyancer or solicitor to avoid a rejection of the FIRB proposal. The FIRB will need a copy of the contract for formal approval, so once they have been exchanged, forward one to the organisation. Consult with your mortgage provider, solicitor, or conveyancer to get any clarification should it be necessary. Legal advice is always recommended, and you have the right to seek it. This is the final phase of the process and includes the exchange of the property’s ownership. Your mortgage provider and conveyancer or solicitor will handle all of the proceedings, so your presence isn’t necessary. The real estate agent will have your keys and the title to the property will be held by your lending institution. Insurance, council rates, utility adjustments, etc. Your conveyancer or solicitor can generate a breakdown of the various fees associated with the purchase of your new property. Many investors who seek property in Australia intend to rent the location as an investment. When doing so, you can manage the property yourself or employ the use of a property managing agent. A professional property manager can oversee all aspects of your property rental. They will maintain all financial records including the collection of rent, conduct inspections, resolve necessary repairs, and manage any disputes that arise. A property manager’s compensation will usually fall between 5 and 10 per cent of the weekly rent. Tenant finding fees are also associated with such organisations, but these fees are one-off in nature. When selecting the right agent or agency to manage your investment property, be sure that they are licensed by the Office of Fair Trading (or state/region equivalent). Their website or office will have the necessary documentation. Do you need help with a non-resident loan? Buying and selling a home can be an exciting but complex process, and Better Homes and Gardens Real Estate is ready to help you navigate it. Whether it’s your first home or your fifth investment property, there are many important considerations. One important element that Better Homes and Gardens Real Estate can make much easier is finding the right finance solution. Using the latest lending software, our expert Personal Lending Managers will help you navigate through a wide range of lenders that offer great value and an extensive choice.